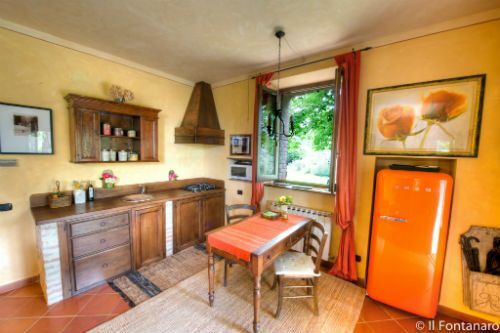 Il Fontanaro takes the concept of Agriturismo to a whole new level. 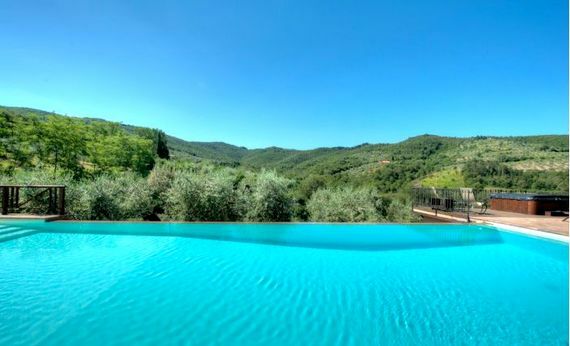 The 19th century farmhouse has been in the Verdacchi family for over thirty years, first being restored into a country home and organic farm, then being expanded into a luxury farm-stay destination of 5 villas, infinity pools and Umbrian foodie activities. The family is passionate about sharing the pleasures of the good life they have created so families who stay here are in for a treat. Where Umbria and Tuscany blur into the Room With a View landscapes of rolling hills, vivid sunflower fields and glowing sunsets, Il Fontanaro estate is as quintessentially Italian as they come. 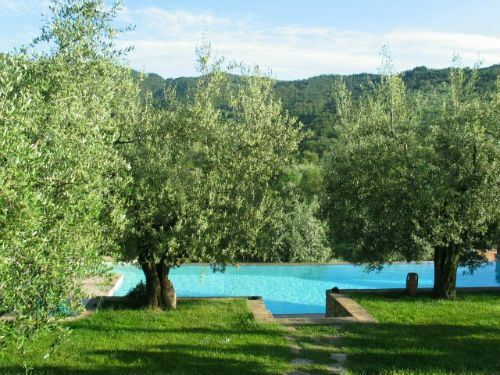 As a farm, over 2000 olive trees are nurtured to produce one of Umbria’s finest organic olive oils which guests are invited to see being milled and sample at a tasting with the owner Alina. There’s a small vineyard of ancient Sangiovese grapes and Il Fontanaro has an extensive wine cellar were grown-ups can have a tutored tasting of rare vintages. 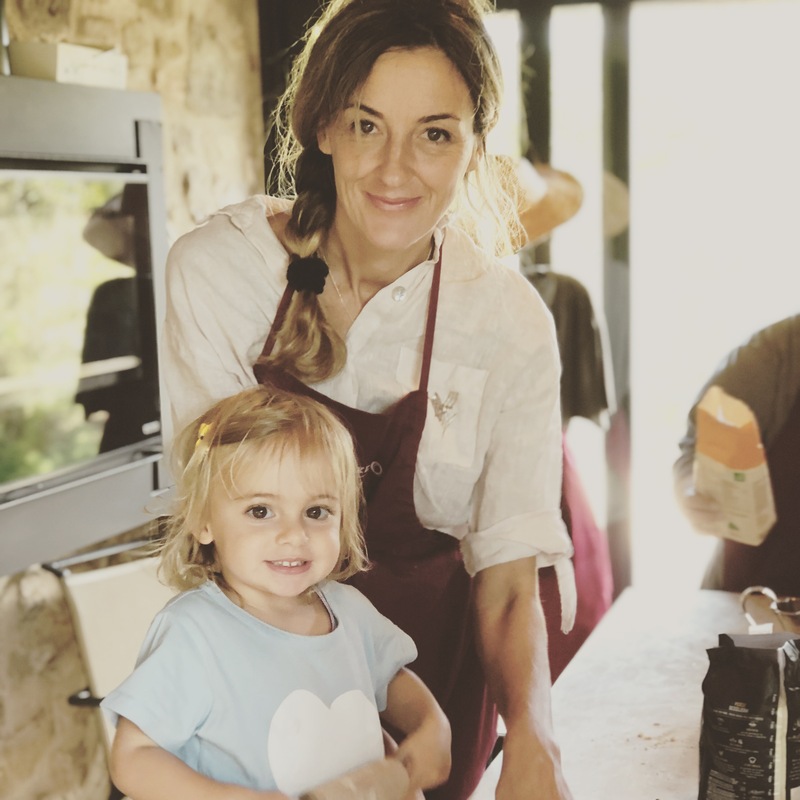 Guests can help themselves to fresh figs, veg and tomatoes, try the owners’ wildflower honey and learn the secrets of Umbrian cooking with Lucia’s courses for adults and fun lessons for children on making perfect pizza or pasta. 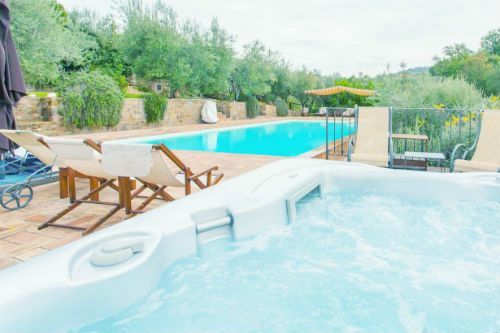 The heart of Il Fontanaro is the owners’ fine stone farmhouse and two separate luxury villas set amongst grassy lawns, shady trees slung with hammocks, scenty English roses, seasonal fruit and vegetables. 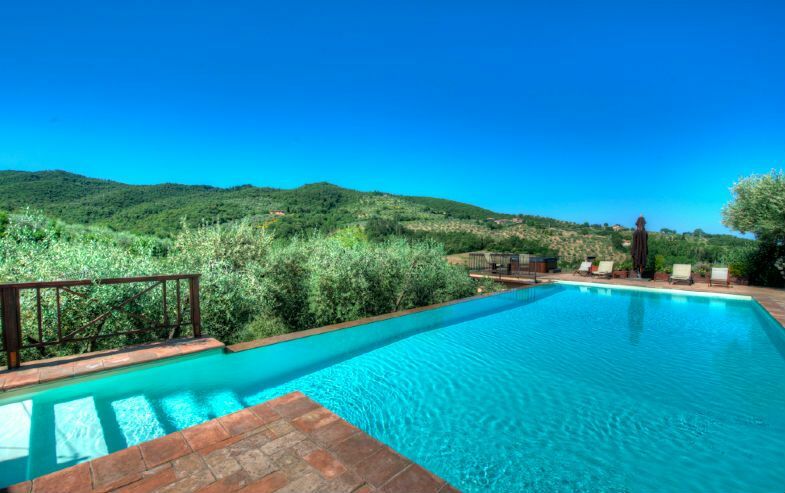 Tartagli is the latest development for the owners of Il Fontanaro, comprising 3 luxury apartments for 2, 4 or 6 people and a 14m x 6m infinity swimming pool, surrounded by olive groves between the farm and the village of Paciano. The apartments have been magnificently finished in the traditional Umbrian style of cosy colours, raftered ceilings and antique furnishings, plus all mod cons include Sky TV, Wi Fi, IPod speaker and air con. 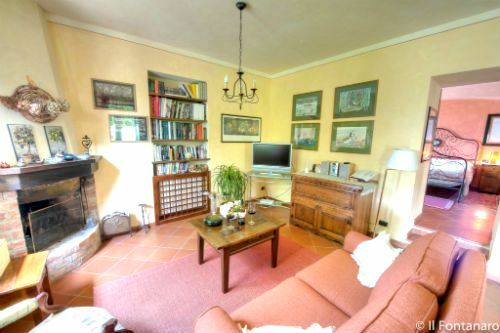 The apartments have well equipped kitchens, modern bathrooms, large living areas and spacious bedrooms, plus 100’s of toys and helpful baby equipment make them ideal for families to experience the best of Umbria in comfort and style. 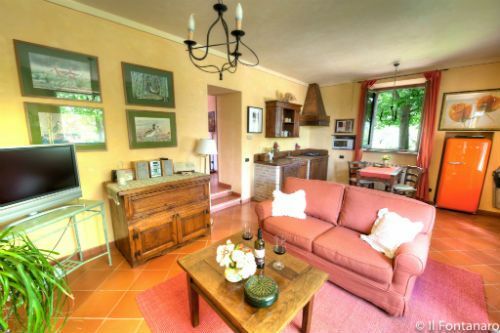 Il Fontanaro has two villas, Leccino and Frantoio, for 2 adults plus a baby or toddler. 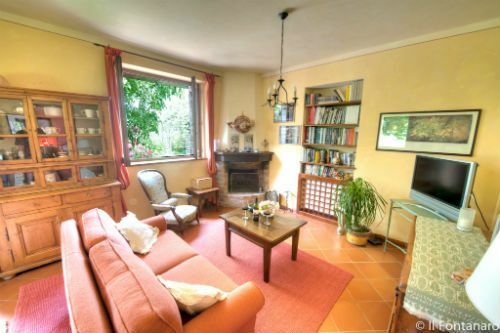 Frantoio is adjacent to the main house and has a large lounge with TV, SKY and free Wi-Fi along with a well equipped kitchen corner (kettle, cooking pots, pans, dish washer, microwave oven and washing machine). There is one king size bedroom with wrought iron bed and space for a travel cot which is provided. 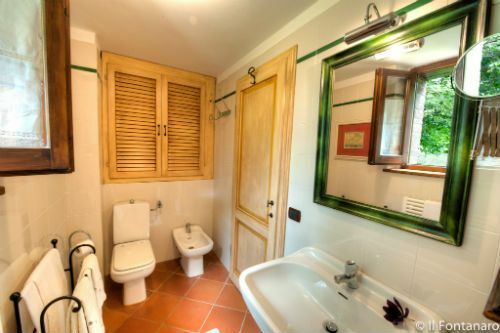 The bedroom has an en-suite bathroom with walk in rain shower. Outside there is a private patio, perfect for enjoying a glass of wine as the sun sets, as well as access to the main gardens, infinity swimming pool and jacuzzi. Il Fontanaro is surrounded by iconic Umbrian scenery and there’s plenty for families to see and do, both on the doorstep and for days out. The medieval walled village of Paciano is under a mile away, acclaimed as one of the top ten villages in Italy for its idyllic setting and quality of life. The owners of Il Fontanaro have arranged 10% discount in many of the superb local restaurants, including the family favourite for pizza and pasta, L’Oca Braciata. 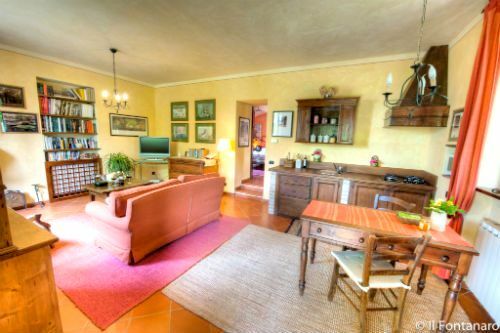 There are more shops in the small town of Chiusi Chianciano (7 miles) and Cortona (16 miles) plus the buzzing Umbrian capital, Perugia is only half an hour’s drive (22 miles). Montepulciano (19 miles) has a fab market on the second weekend of the month and this historic hill town is also world famous for its fine red wines. 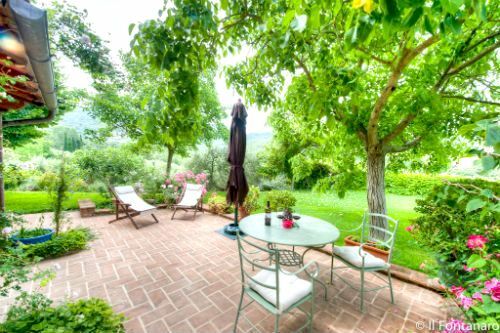 Assisi (29 miles) is one of the region’s biggest tourist destinations, thanks to the magnificent basilica, but families might prefer to escape the hoards and head for the beaches, watersports and cruises at Lake Trasimeno (6 miles). Children will have fun exploring the countryside on donkey rides for 4+ year olds or on horse riding trails. 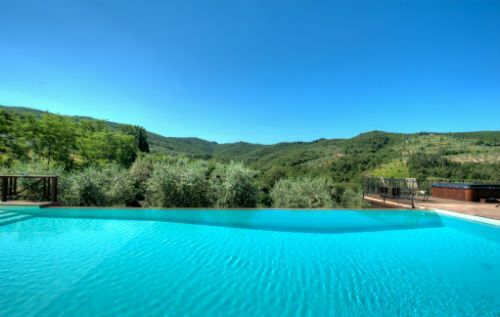 There is also a ‘Go-Ape’ style forest adventure park at Rapolano Terme, under an hour’s drive away and dinosaur fanatics will enjoy the Paleontological Museum at Pietrafitta, near Lake Trasimeno. Besides experiencing all that Umbria has to boast about, Il Fontanaro is within easy reach of Tuscany highlights too including fairytale Siena (50 miles) and the Renaissance treasure house of Florence (80 miles). Even Rome is only a one-hour train ride from Chiusi. 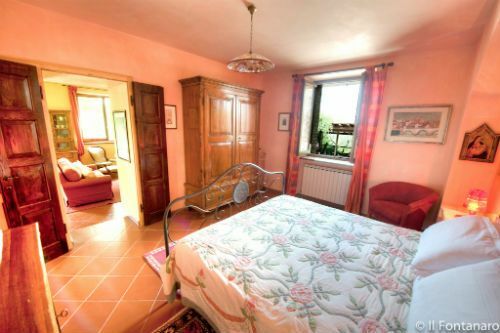 Getting here: Perugia Airport is 45 minutes from Paciano, with regular Ryanair services from London Stansted. Alternative airports include Florence (1hr, 45 minutes) and Pisa or Rome (2 hours). 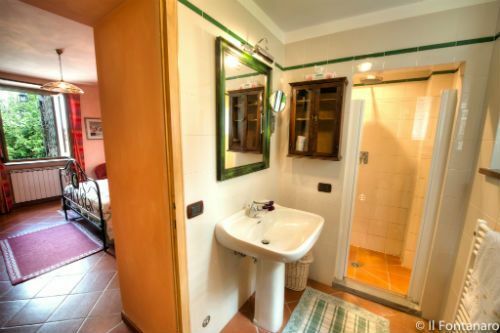 Nearest medical services: Paciano, 1km. Heating if required with be 100 Euros per week additional charge. I have a daughter 2 years old (sept 2016) that is my sue chef at the cooking classes sometimes! 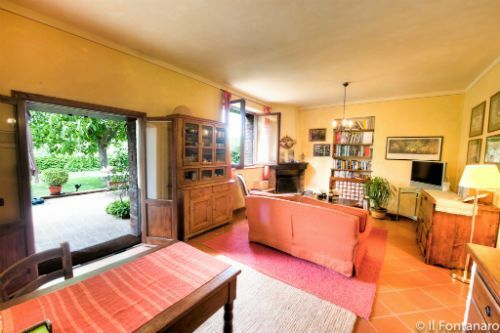 2010/2019: Il Fontanaro Ecological and Organic Farm House, Owner. 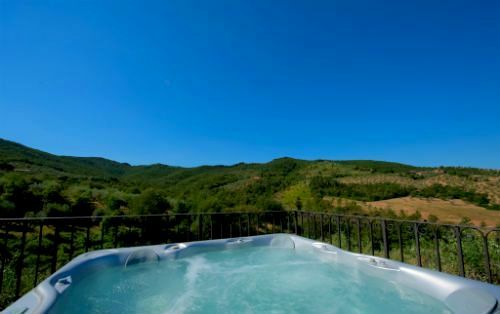 Specialized in Wine and food, wine and food tours around Tuscany and Umbria. 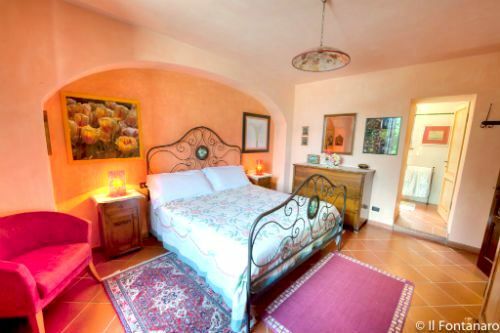 We own and run Il Fontanaro, villa Tartagli and Sunflower Spring place, and here, every guest is treated like a visiting friend. We provide the type of service that big hotels and guidebooks cannot: booking a table at a little country restaurant, detailing directions to the ruined abbey at the end of an old footpath, and arranging lunch with the small winemaker who will personally walk you through his vineyard. Il Fontanaro offers the perfect base from which to explore the stunning Val di Chiana, Val d’Orcia and the hill towns of southern Tuscany, around Siena, Montalcino, Pienza, Montepulciano…. and all Umbria (Perugia, Assisi, Gubbio, Deruta, Spello, Todi…). At fontanaro there are a lot of activities for kids. Before your arrival you can ask for the kids welcome pack: colors, papers, toys & Co.
We also have crab toys at the pools and ping pong for kids. Sleeps 2+ a cot in 1 x 1 bedroom apartment of approx 60 sq metres with king-size bedroom, large lounge/kitchenette/diner & shower room, plus a private terrace with sunset views. The local village with recommended restaurants is under a mile away. A fully qualified and trained babysitter is available on request. Baby gear available includes; 1 baby bath, 1 baby bouncer, 1 baby monitor, 1 steriliser, potties, socket covers, plastic cutlery and sippy cups. For indoor play there are bath toys, kids books, general toys and U-rated kids DVDs. Outdoor toys and games include bowls, ping pong, baby cricket set. A beauty therapist can be arranged to come to the villa. There is a private terrace area. There is a golf course just 5 miles away. Up to 3 travel cots, 3 highchairs are available. This is a beautiful property run by mother and daughter team Lucia and Alina. They are perfect hosts, very thoughtful and friendly and calm even when you call them from the motorway lost and without a map. They really care they you have a lovely experience with them and make you feel like family friends. The baby equipment was all great and it was a lovely way to holiday with our 14 month old. Try the cooking course too, it was great fun and the food was delicious. You will need a car as the property is in fairly remote hillside location, but Alina recommended a local company and it was very reasonable.